I traveled to South Africa in September of 2009 to visit a friend I had met while living in Belgium in 1998. 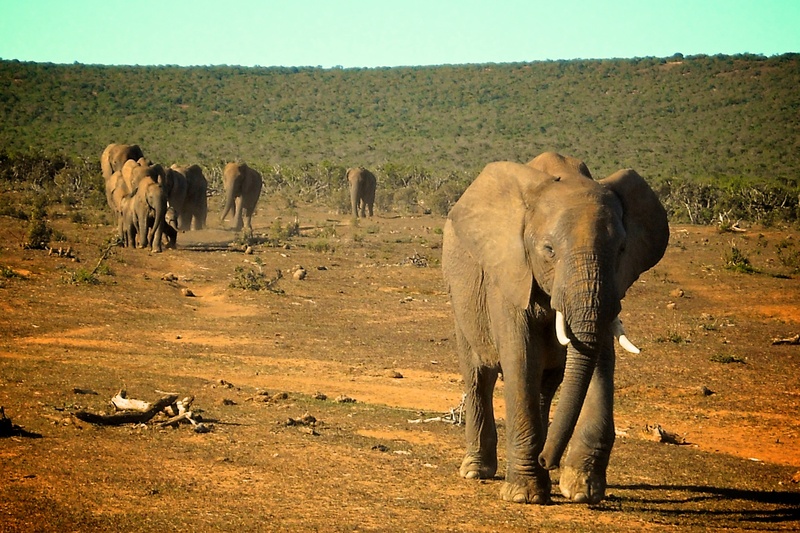 One of our adventures led us to Addo Elephant National Park and I was able to realize one of my dreams of seeing wild elephants. I will never forget this day and felt like I wanted to share these 2 photos from my experience in the park. I hope to go back someday and explore more of South Africa and other parts of the region! This entry was posted in Photography, Travel and tagged Addo Elephant National Park, Elephants, photography, South Africa on May 30, 2012 by Lauriel~Arwen. 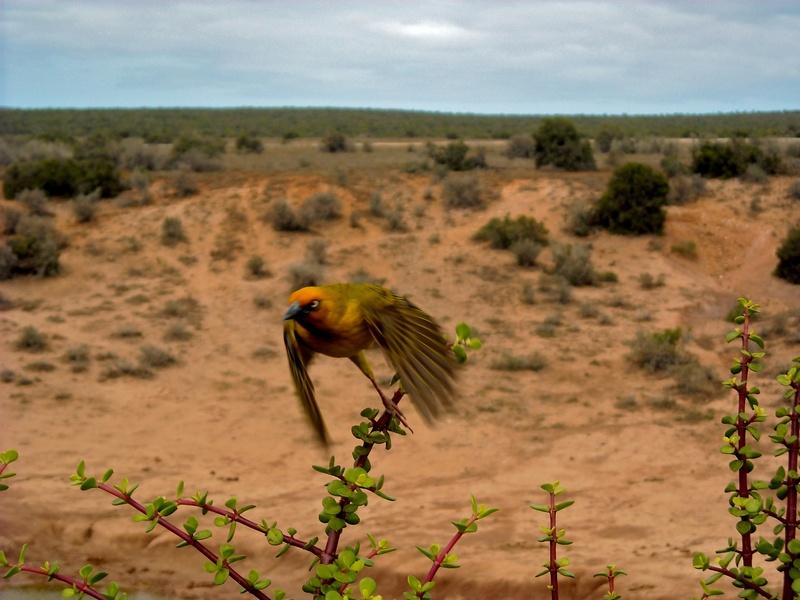 I’m now wondering what kind of bird it is in the photograph – like both images. I don’t think I figured it out at the time, although maybe I just don’t remember now. I recall I found it difficult to find a good bird book while I was there. Thank you!